July 28, 2015 – Batanes Island, Philippines. In the Philippines, there is no island too far nor hill too hard to climb to play basketball. It’s not common to see basketball courts located just below a hill as picturesque as this one. 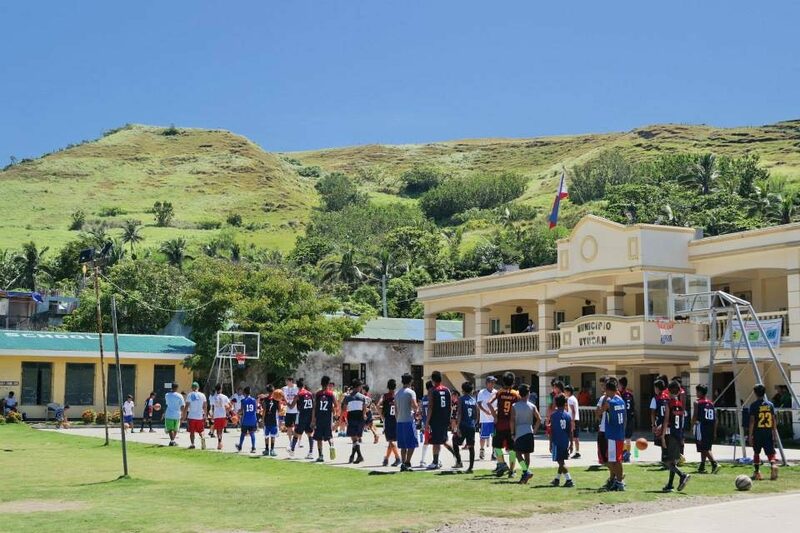 In the photo you’ll see the Philippines’ next generation of athletes (locals of Batanes, the Ivatans) enduring the scorching heat as they undergo basketball clinics and drills conducted by PBA (Philippine Basketball Association) players. More than nurturing their basketball skills and knowledge, this initiative also cultivates talents, values and inspiration that defines the way they pursue excellence.